There is one post filed in dental care. When many of us think of our health, we think of our weight, our waistlines and how far we can run. However, there are many other components that make up a person’s overall health. For example, people will often develop chronic conditions, that in themselves may not lead to weight gain, but can present major problems for longevity, livelihood and well-being. If a person doesn’t exercise they may develop severe problems with their health, such as diabetes, or heart disease, but beyond that there are other things to consider. Our overall health is not just how much weight we can lift, how long we can run without needing a breather, but instead how healthy our body is overall mentally and physically. Many people think just eating healthy foods, or exercising more will make them the healthiest they can be. While this is certainly true on a limited basis, it’s not so in absolute terms. For example, new studies have clearly shown that people can improve their overall health if they take care of their teeth well. It was found that the bacteria that’s part of gum disease can cause heart disease in many instances. This is not only a huge problem in general, but can severely damage a person’s ability to stay healthy and keep in shape in the long term. It’s no simple matter to maintain proper hygiene, but brushing and flossing everyday is a good start. If a person develops heart disease, the effects are typically irreversible. It also will be coupled with a lifetime of expensive physician visits and healthcare expenses. People who develop such conditions have greatly reduced lifespan as well. It’s not too difficult to avoid these consequences. By making regular appointments with dentists for cleanings and proper cavity care a person can avoid many of these risks. However, it’s not the only way to do so. Daily brushing, particularly with sonic brushes or other high frequency devices can significantly cut down on plaque and bacteria formation. 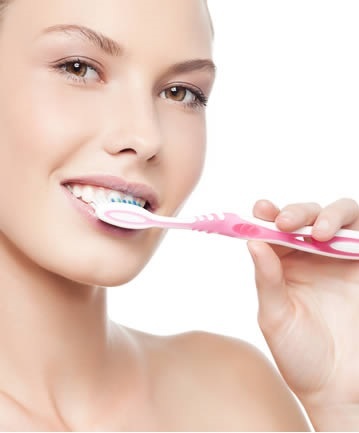 Additionally, new research suggests that by brushing your teeth several times each day, more than the just the general two times per day that’s typically suggested, a person can significantly cut their risk of heart disease. Furthermore, they will also have much greater success losing weight on average, and tend to maintain a better overall physical condition than their counterparts who don’t take care of their teeth properly. Drinking coffee and other acidic drinks can also be a problem for teeth. It’s best to only intake diet sodas, or those without sugar, otherwise the person risks unduly damaging their dental health for little real benefit. Sugar should be reserved for rare occasions, both for overall physical health, and also for dental hygiene reasons. It’s never easy to do this, but once a person converts to this diet they often experience far superior physical standing. Cutting out sugar and acidic drinks will typically make a person feel far more healthy than they would normally, but it takes some serious commitment to achieve. Once it’s done, however, you can achieve great things, and improve well-being significantly.